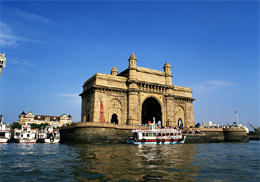 After breakfast you will�leave for full day visit including- Haji Ali mosque, Victoria terminus, Mahalaxmi temple and in the afternoon visit beaches in Mumbai- Juhu and Chowpatty beach. After breakfast you will get ready for flight to Goa. On arrival you will check in hotel and then relax. Stay overnight at hotel in Goa. After breakfast you will leave for full day visit of Goa- both North & South Goa including visit to famous churches of Goa. After breakfast you will have a boat ride at river Mandovi. Later you can spend you day time at beach while taking sunbath. After breakfast you will get ready for your flight to Cochin. On arrival Cochin you will check in hotel and then you will leave for full day sightseeing of Cochin including - Fort, Chinese Fishing net, Jewish Synagogue. Stay overnight at hotel in Cochin. After breakfast you will proceed to Kollam.��On arrival you will check in hotel and then relax. Later you have time to relax on beach. Stay overnight at hotel in Kollam. Stay overnight at hotel in Kollam. After breakfast you will leave for full day visit including Thevalli palace, Thenmalla deer park and the beach. 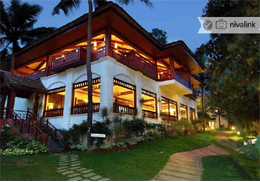 After breakfast you will proceed to Kovalam.��On arrival Kovalam you will check in hotel and then relax. Stay overnight at hotel in Kovalam. After breakfast you are free to roam around the beaches; also you have the opportunity for Catamaran boat cruise. After breakfast proceed to Trivandrum; visit full day including Padmanabhaswamy temple, Puthenmalika palace. At late night you will be given assistance in airport transfer on board your flight to onward destination; henceforth our services terminate and we wish you safe, happy, memorable journey back home. Site Designed & Promoted by Advent InfoSoft Pvt Ltd.